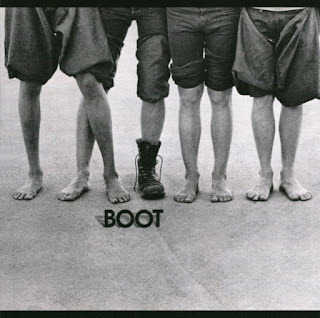 Approximately in 1969 the band "The Split Ends" from New Port Richey (Florida) changed the name to "Boot" (Blues Of Our Time). For about four years the band spent on tour, performing 80 - 90% of their own material. The guys took part in the concerts together with "Canned Heat", B.B. King, Neil Diamond, Detroit Wheels, at the Atlanta Pop Festival and Miami II Pop Festivals. At the contest at the University of Florida, "Boot" won first place bypassing "Allman Brothers", and at a concert in Atlanta, they were greeted by "Lynyrd Skynyrd". In 1972 the first album of the group was recorded, the material of which is a high-quality American "southern rock" of medium gravity.